Ramen, sushi, and hibachi all find a home on the menu at Kabuto. The restaurant opened its doors in Rockville a couple months ago with a diverse menu of authentic Japanese cuisine. If you want dinner and a show, opt for a hibachi table with a flat grill in the center. If you’re more interested in the sushi or ramen, gather around a traditional table with a few friends. 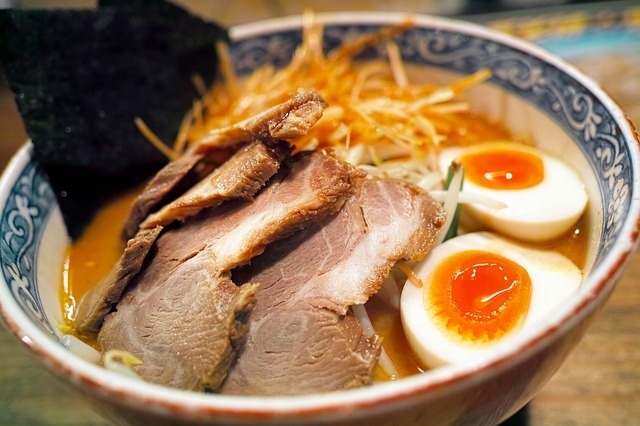 Start with an order of the signature shio ramen, which features a salty broth, or try the miso or spicy shio red. Each bowl comes with your choice of broth plus chashu pork or chicken, bamboo shoots, bean sprouts, mushrooms, and a few other classic ingredients. Complement the ramen with a sushi roll or two, like the Tuna Amazing. It features spicy tuna, white tuna tempura, and avocado on the inside, and peppered tuna, wasabi aioli, and eel sauce on top.